Being part of the medical industry, you understand how proper diagnosis and exacting prescriptions are to a patient’s overall well-being. 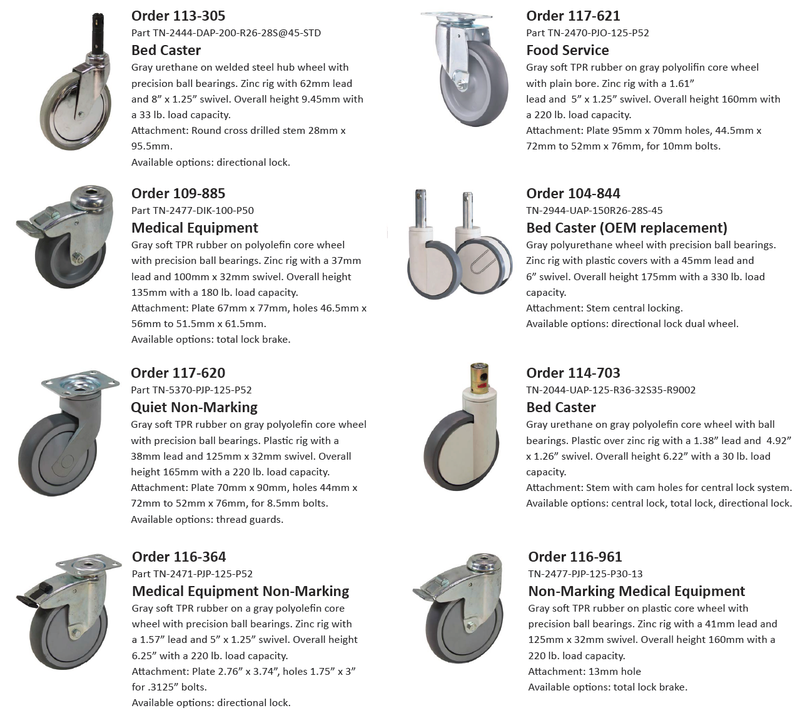 Those same standards are extremely important when it comes to selecting casters for vital medical equipment, hallway carts, and more. Caster Technology is committed to offer an extensive line of casters that are guaranteed to meet your requirements and perform under the stringent sanitary conditions and are reliable for any and every emergency. Contact us today for any and all of your caster needs!